Frankly speaking there are lots of myths and legends about slot machines, some of them are really funny, some are nonsense but some rumors are confirmed. So, let's take a look at them. Someone hit the jackpot on the slot machine which you left before you were able to get that jackpot if you stay playing longer. You are mistaken it is not possible because all slot machines have a chip inside. There is the Random Number Generator (RNG) in the slot machine, which controls the process even when the slot machine doesn't works RNG is cycling. 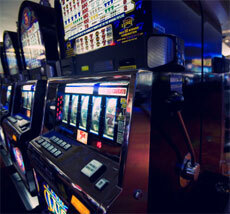 Slot machines are programmed with consecution of spins that can be examined and exposed after careful and proper study. This myth is absolutely wrong. As we have mentioned above, slot machines have number generator and this device can generate millions of number combinations per minute, which are absolutely random. There is a big chance to win a jackpot, but only when the casino is busy. You are mistaken; it doesn't matter if the casino is overcrowded or empty. Remember, that is not true. If the gambler plays with warm coins, that will change the result of the game. Why do you think so? It is not influenced by the temperature of the coins. This is a technical cluster and machine doesn't feel if the coin is hot or vice versa. There is one more interesting gossip. If the slot machine has not paid out during the hour in due course, it must pay very soon. We should explain you that slot machines are not and the player cannot calculate the process and mathematically compute it. Slot machines game is a game of chance. Some unique persons believe that they will absolutely come out with a victory if they pull the lever than press the button. The Random Number Generator is not concerned if the player press or pull. Many people think if the slot machine is standing at the casino entrance they are surely winning. Sorry, but I want to disappoint you, it is not true. There is no specific system in location of slot machines. It doesn't matter where they are standing. Maybe somebody was disappointed after reading this article. But the truth is clear. Remember, if some of such myths and legends were real the proprietors and inventors of machines would bar this immediately.